Dr. Ajit Singh Sikand is a Professor for Religious Tourism for many years and follows his love of travel and the lifestyle on Adventure Travel. He was for a long time the Vice President of World Bank Tourism Department of Adventure Travel & Eco-Tourism as well as Vice President of Adventure Travel & Eco-Tourism Society. In 1993, Dr. Ajit Singh Sikand set up HBC Tourism Consulting, Group. Co-founding HBC Luxury MICE Travel with his University friend has allowed him to continue his love for travel. HBC Luxury MICE‘s Corporate Social Responsibility is very close to his heart and he supports some social projects in India, Bhutan, Nepal, Myanmar, Philippines, Indonesia/Bali, Panama, Paraguay, Venezuela and Tibet. 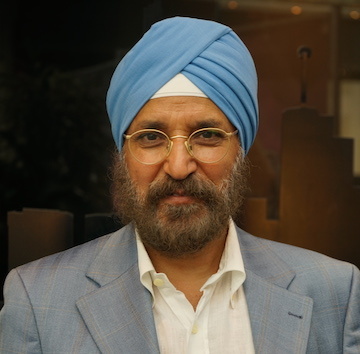 Dr. Ajit Singh Sikand holds a Diploma in Tourism and Hospitality Management, 2 Bachelors, 2 Masters and a PhD. He loves to create new innovative tourism products, his current focus is Japan & Tokyo 2020. Presently, besides his business, he is dedicated to Barrier Free Travel, especially for the blind.